On Wednesday 14th November the Yorkshire and Humber regional group of the Society of Chemical Industry (SCI) hosted a careers options seminar at the University of York. The aim of the session was to show undergrads, postgrads and postdocs that there is a range of research and non-research careers paths that they can take, both in and out of the lab. As their newest communications officer, I thought I would share a summary of the evening with you ahead of the next session for the Uni of Leeds students and postdocs (message me for more info). Matthew Thornton talked about his career in Knowledge Transfer. Not surprisingly, no one in the audience had even heard of knowledge transfer as a career option but Matthew explained it very well. Matthew has a degree in chemical engineering and a PhD in materials science. He showed that there are great opportunities to meet interesting people (e.g. Duke of Edinburgh) and to travel to many countries in his job. He gets to work with a wide variety of people from industry, academia and government. Gareth Ensor works in process development and scale up at Astra Zeneca. He demonstrated, in his talk, that it is possible to have a great career in research without having a PhD. Gareth talked about the importance of the development of transferable skills such as acting decisively, strategic thinking and working collaboratively. He also showed pros and cons of his career, highlighting the learning that comes from scale up of processes. Dan Woolaston is a trainee patent lawyer. He had a very entertaining talk on the intellectual challenge of patent law, and variety of work, switching from cutting edge science to lone inventors with simple ideas like bike locks. He described the required skills as excellent communication skills and the ability to understand the science behind the inventor’s idea quickly. He said the downside was the number (8+) of exams required. Finally, Jason Lynham gave a talk on his academic career. He talked of the pleasure of working in something you really enjoy and the travel opportunities and collaborations abroad. He also described the pressure of constantly having to find funding, and the highs and lows of getting papers and funding bids accepted or rejected. The turnout and feedback from the session was really good, let’s hope the one at Leeds is just as successful! A recent discussion on Twitter about lachrymators (from lacrima meaning tear in Latin) has got me to wondering about chemicals that we use in the lab and the effect they can have on our “emotional” state. Clearly, lachrymators don’t change our emotional state but when they are released they do make us look like immensely sad. 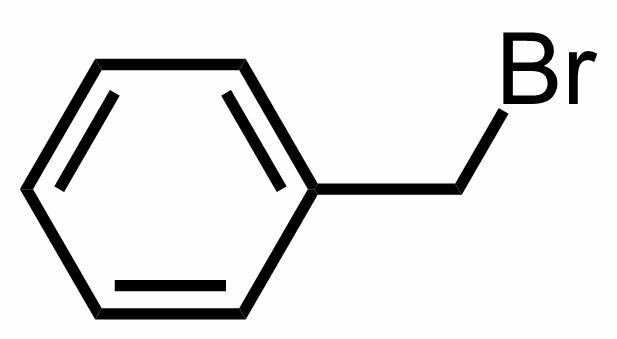 The most common culprit in our undergraduate labs is benzyl bromide. On contact with the eye, the chemical stimulates sensory neurons creating a stinging, painful sensation which causes tears to be released from the tear glands to dilute and flush out the irritant. When this gets released in a lab, everyone knows about it, especially when there are dozens of undergraduates using it. More commonly found lachrymators are onions, which release syn-propanethial S-oxide on slicing. The release is due to the breaking open of the onion cells and their releasing enzymes called alliinases, which then break down amino acid sulfoxides, generating sulfenic acids. A specific sulfenic acid, 1-propenesulfenic acid, is rapidly rearranged by a second enzyme, called the lachrymatory factor synthase (LFS), giving syn-propanethial S-oxide. Lachrymators were commonly used in World War I as “tear gas”. Extremely low concentrations of lachrymators caused an intense irritant action on the eyes. This caused tears and pain which then resulted in reduced vision which meant that the soldier became impaired. Benzyl bromide, bromoacetone, dibrommethylethylketone (which could prove fatal), ethyl iodoacetate and xylyl bromide were the common culprits. There are also many other lachrymators that are used today for crowd control purposes. 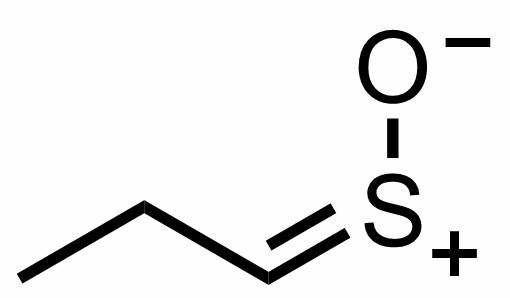 In the past, phenacyl chloride was used but this has mostly been replaced by 2-chlorobenzalmalononitrile (CS gas), dibenzoxazepine (CR gas) and pepper spray (OC gas) due to the toxicity of phenacyl chloride. Pepper spray contains capsaicin which is a capsaicinoid which is produced as a secondary metabolite by chili peppers. It is why you may ‘cry’ when you are chopping up chillies…you may notice it more acutely when you accidentally rub your eyes after cooking with chillis. I have explained that chemicals can make us ‘cry’ (probably not as much as our PhDs did) but chemicals can also have the opposite effect and make us giddy with laughter. I have never experienced this but I am told it is quite pleasant! Nitrous oxide, or laughing gas, was discovered in 1799 by British chemist Humphry Davy, is an example of a chemical that makes us feel happy. Inhalation of nitrous oxide for recreational use, with the purpose of causing euphoria and possibly slight hallucinations, began in 1799 and was commonly used by the upper class at ‘laughing gas parties’. Nitrous oxide abuse has even been documented (Emergency Medicine Australasia (2010) 22, 88–90). It is also used as an analgesic, particularly in the dental profession although my dentist always chooses to use the unpleasant Lidocaine. Nitrous oxide quickly enters the bloodstream through the alveoli in the lungs and is distributed quickly through the whole body, including to synapses in the brain. Nitrous oxide is an uncompetitive NMDA channel blocker which blocks the ion channel by binding to a site within it. The NMDA receptor is a receptor which allows for the transfer of electrical signals between neurons in the brain and in the spinal column. For electrical signals to pass, the NMDA receptor must be open but when nitrous oxide is used, it is blocked. ** I am not condoning the use of laughing gas to make you happy. Eat some chocolate instead. I have been neglecting this blog lately as lot has been going on. Sorry! I have been working on a blog about crying in the lab, but I had a sudden urge to write this post during my mid-afternoon Earl Grey tea break… Is there a person that you would call your chemistry idol? Or perhaps someone that inspired and propelled you to break boundaries in your subject area? I remember the moment where I felt like chemistry was really for me and that I really could change the world. It sounds corny but it is true. It all started during the early years of my PhD. I was begrudgingly dragged away from the lab to attend a three day series of lectures by Dan Nocera from MIT. I had no idea what to expect (I hadn’t googled him before the lectures) but I didn’t expect to come out of those lectures feeling as inspired and up for the challenge as I did. For those who don’t know, Dan Nocera‘s group pioneers studies of the basic mechanisms of energy conversion in biology and chemistry. He has, for example, accomplished a solar fuels process that captures many of the elements of photosynthesis outside of the leaf. He has hundreds of publications which are all on his website. As well as his really interesting and important work, it was his attitude and presentation style that grabbed me. He was very passionate about what he does but he was also relaxed and open to questions. He showed of all of us in the audience that we, as scientists, need to be working on the future energy problem, sooner rather than later. Although Dan Nocera isn’t my idol as such, I can put my desire to remain in research down to those short three days. He showed me that we can try to answer the ‘big’ questions by working our guts out in the lab and that, one day, humans could potentially be smarter than plants! So who or what was your inspiration to go in to research? I am really interested to find out.